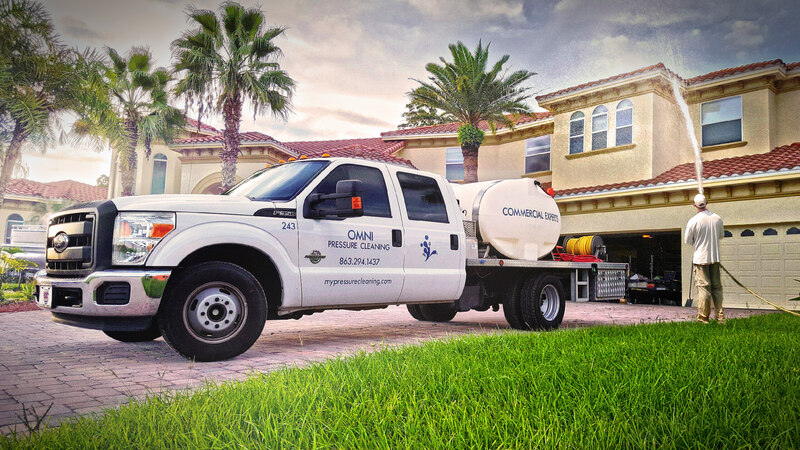 Omni Pressure Cleaning offers comprehensive pressure cleaning services in Winter Haven, FL and the surrounding areas. 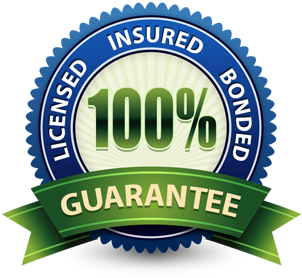 We are fully licensed, insured, and bonded and our professional team has the training and experience to do the best job for your needs. We clean residential and commercial properties in a fraction of the time which allows you to save money while enjoying our efficiency and superior results. When it comes to giving your property a fully deep down clean, our power washing services can provide the right solutions. Our high powered washing trucks are especially designed to offer a powerful clean no matter how much built up dirt and grime may be on the exterior of your property. Our trucks are capable of performing high pressure cleaning without disrupting your commercial business for the ultimate in convenience. Our state of the art pressure washing services are tailored towards reducing your expenses. Since we get all of the surface dirt and grime removed in one sitting, you can cut down on the costs of repeat pressure washing services. Our goal is to ensure your complete satisfaction by providing state of the art power washing services. 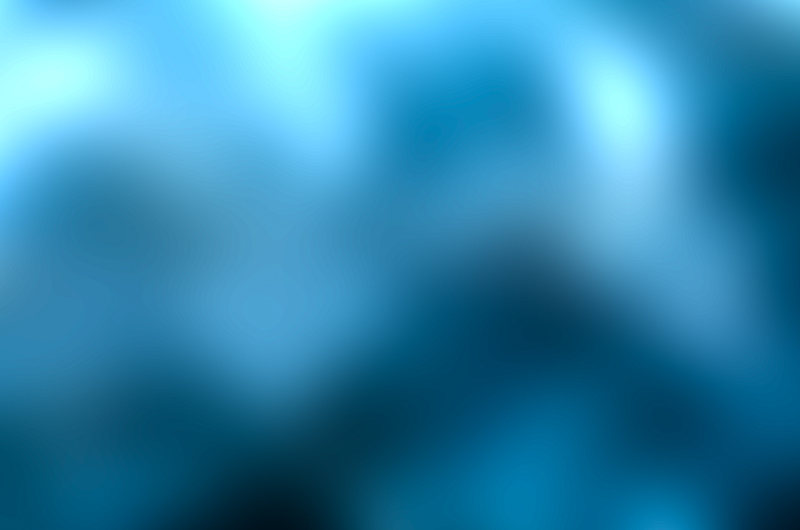 By using proprietary equipment, we are able to work quietly and quickly ensuring the best results. 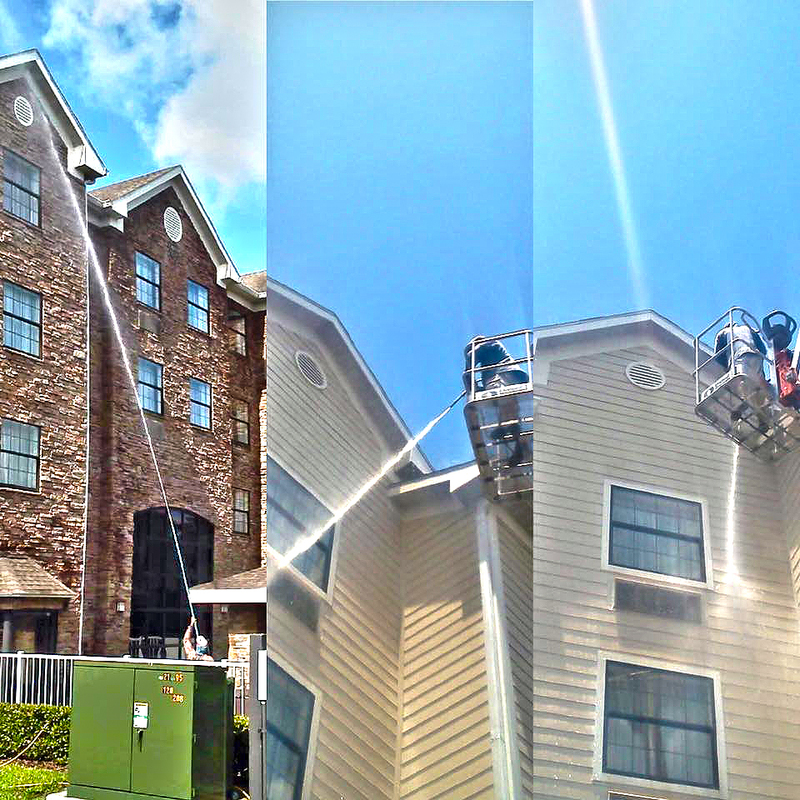 Our low pressure, high volume cleaning services include soft cleaning that won’t damage the exterior of your building. 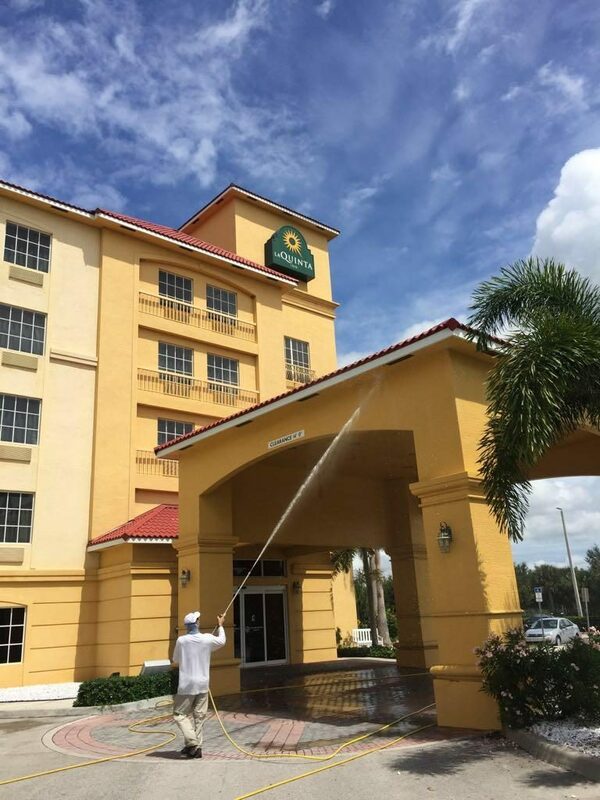 Contact Omni Pressure Cleaning for more information about our services by calling us at 1(863) 294-1437. Customer Rating: 5 / 5 based on 87 reviews. Omni Pressure Cleaning is a fully licensed and bonded pressure cleaning company. Our special, proprietary pressure washing trucks allow us to do industry leading low pressure, high volume pressure cleaning. What this means to you is that we are able to clean commercial and residential buildings in a fraction of the time of our competitors and since your time is valuable we are able to allow you access to your clean building much faster. If you have a commercial building such as an office building or hotel we are able to clean it without disrupting your business. And since they say “time is money”, we are also able to reduce your expense and increase your building’s ability to make money because of the same process.